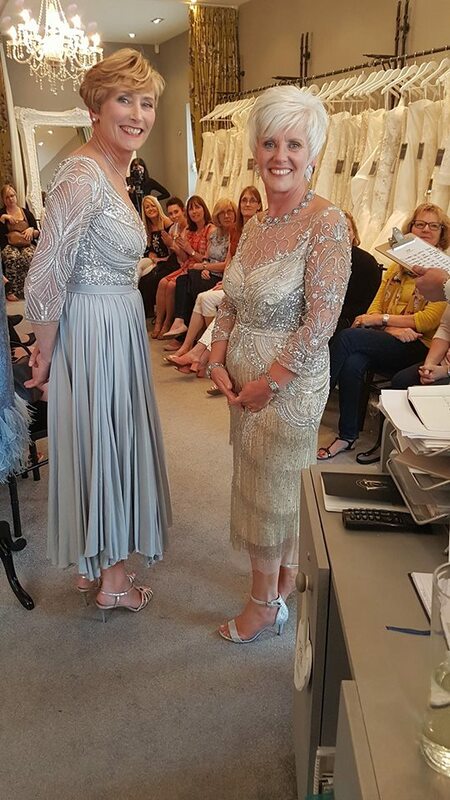 Last Thursday (10th May) we launched our brand new Mother of The Bride & Groom collection in store with a fashion show featuring Gill Harvey. 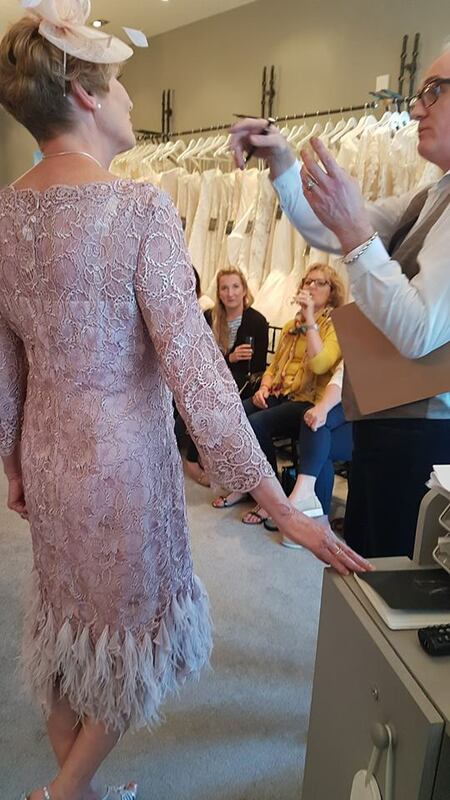 Other designers stocked in house such as Ian Stuart and Gina Bacconi were also previewed but we were fortunate enough to be joined by the brilliant Andrea from Eliza Jane Howell and Gill Harvey who was on hand throughout the evening to talk to our prospective mum’s and give advice on the Gill Harvey collection we showcased on the evening. 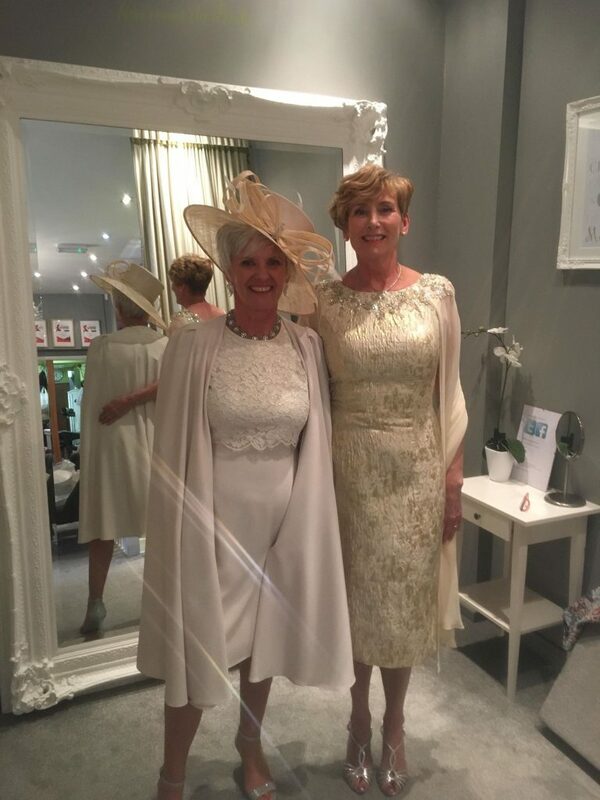 Our models Linda and Lorna who are hair clients of our instore hair salon were styled by The Hairdressir (our instore salon) and make up artist Dolly who joined us for the evening offering elegant looks to compliment the gorgeous gowns on display. 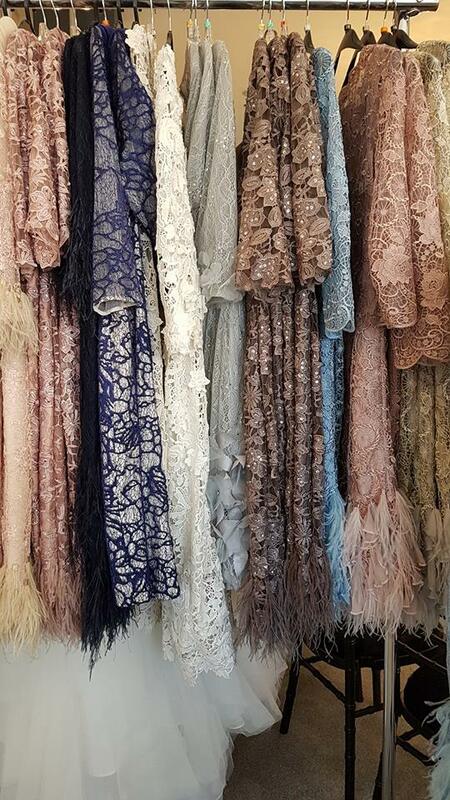 Completing the look, hats and fascinators from JBee Milinary were also showcased, and the boutique opened its doors for the evening exclusively for the event. 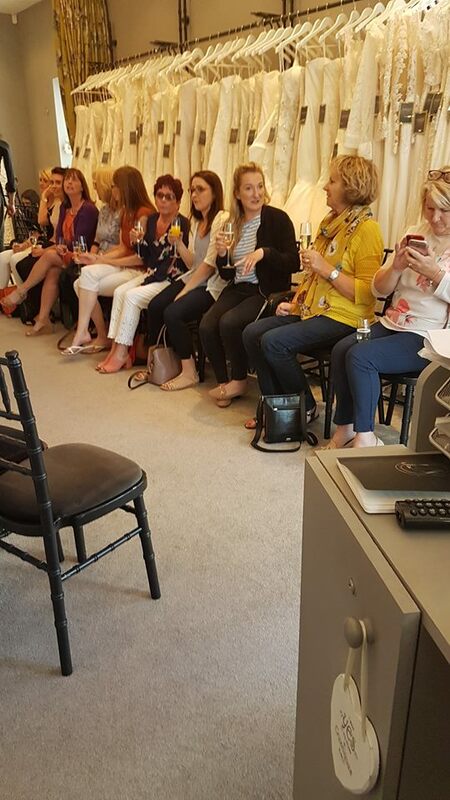 40 future Mum’s joined us, and the feedback from the evening has been fabulous. Here’s a few photos from the evening!